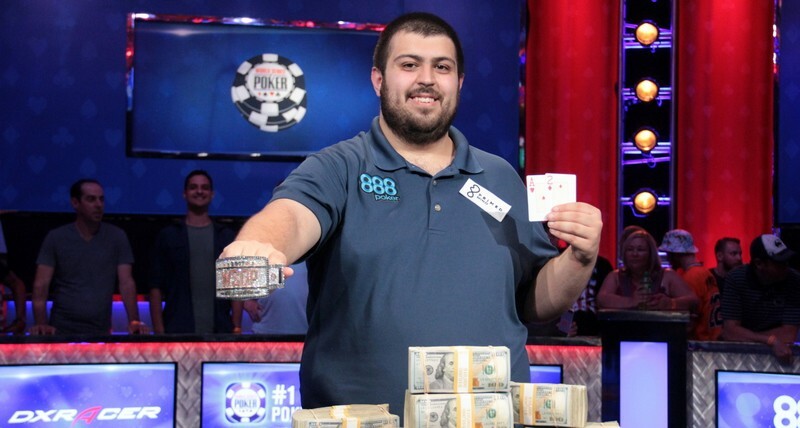 Poker’s newest champion is 25-year-old Scott Blumstein. The Morristown, New Jersey native steamrolled the final table of the 2017 World Series of Poker main event to secure his first career bracelet and the $8.15 million first-place prize. Blumstein, who was the youngest player at the final table, was playing in his very first main event. In fact, he had only recorded a few WSOP cashes prior to his win. Blumstein’s largest score before Saturday’s finale came in July of 2016, when he took down a $560 buy-in event at the Borgata Summer Poker Open for $199,854. Although he came into the final table with the chip lead, it was a massive cooler with fellow big stack John Hesp on the first night of the final table that gave Blumstein a chip lead he would never give up. From there, it was just a matter of applying pressure to the short stacks as they looked to ladder up the payout list. Blumstein graduated from Temple University with a degree in accounting four years ago, but chose to play poker professionally instead. The move obviously paid off. Saturday’s play started with three-handed action and Blumstein holding nearly two-thirds of the total chips in play. Daniel Ott scored a double up from Benjamin Pollak in a classic coinflip situation. When Ott doubled through him again, Pollak was left as the short stack three-handed. and made the call, putting both of his opponents at risk. on the turn and river let Ott survive while busting Pollak in third place, earning $3.5 million. , making Ott a 93-percent favorite to double up and start a brand new heads-up match with some momentum. on the river sent shock waves through the crowd piled into the Rio All-Suite Hotel and Casino convention center, sending Ott to the rail and giving Blumstein the title.